Throughout my career as a blogger, fitness has played a role in my life. Around the blog’s inception, I returned from the University of Colorado at Boulder, a few pounds heavier than before. I immediately went back to the Jewish Community Center of Kansas City and started to exercise again. At the same time, I also began working out with a trainer named Adam, who trained my cousin, Jonah, when he went out for his school’s baseball team. 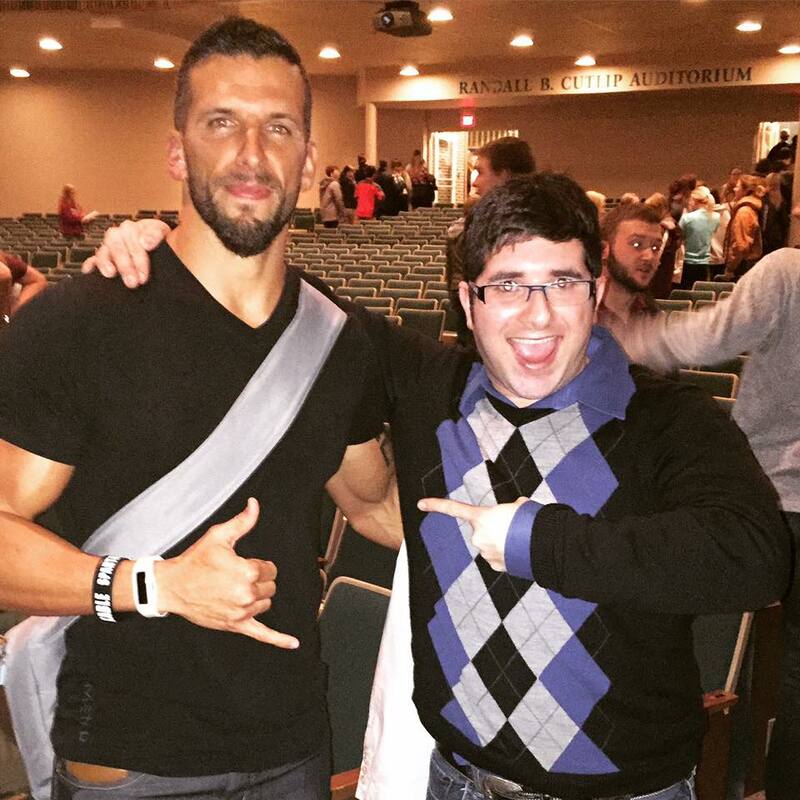 While Adam helped me get started on my journey, I soon realized that I needed to be working out with a community. Luckily, the Jewish Community Center (the J) began offering a program that is still going strong: Meshuggie CrossFit. Since its inception back in 2000, CrossFit incorporates elements of intense interval training, Olympic weightlifting, powerlifting and gymnastics into WODS (workouts-of-the-days) that are designed to improve and challenge participants’ fitness capabilities. The head trainer who ran the program was Brady Mora, who I always ran into whenever I visited the J for college breaks. At the time, Brady was determined to get this program off the ground and already had success working with a smaller selective group of athletes that are still part of my CrossFit family today. I was part of the second generation and both Brady and his co-coach, Angela Schaffer, were ready to give me the challenge of my fitness career. The first few months were hell to say the least, while I was slowly able to churn out five to seven singles in one minute, some of my classmates were already moving onto double unders and (even triple unders). I almost even did not survive Murph, a hero WOD that pays homage to a soldier who died in combat. For time, you had to run a mile, do 100 pull-ups, 200 push-ups, 300 air squats and conclude with another mile run. While I finished in 1 hour and 30 minutes, I thought I was going to be carried from the J to Menorah Medical Center. I began to develop friendships with some of my fellow CrossFit athletes including TJ Kiblen, Anthony Koehler, Danielle Wilson, Mitch Gold, and Andy Ellis. I even gained older brother figures in Brady and TJ, who in months after joining became Brady’s right-hand man. Around the fall of 2012, not only the leaves began to change but the Meshugge CrossFit’s foundation as I knew it began to change. Brady and TJ left the J and started their gym, CrossFit 913, and took some of the founding Meshugge CrossFit athletes with them. A new dynamic formed when new coaches (I will call these coaches Bay and Ike) were hired. They immediately began to pay closer attention to athletes who have more potential to compete at The CrossFit Games and The Granite Games, and I felt left out. I felt like a ghost when I worked out at Meshugge, and I wanted my progress to appease them. When I didn’t get their approval, it made me angry. When I did get mad, I channeled the people I admire: Simon Cowell, Christina Aguilera, Jennifer Lopez, Howard Stern, Sir Elton John, David Letterman, Regis Philbin, Kelly Ripa, Wendy Williams, Whoopi Goldberg, Rosie O’Donnell, Ryan Seacrest, and Matt Lauer, during my workouts. Besides being media masters and mavens, all these opinions have strong opinions who are not afraid to voice them and stir up some controversy along the way. Also, several of them have been targeted by the tabloids for their so-called “diva and divo behavior.” I admit that I used them as a “crutch” because I was tired of getting my feelings hurt. While I have stopped channeling them on a full-time basis, my coaches still get aggravated when I do these once-in-a-blue-moon episodes. However, things began to change when I left Meshugge CrossFit and joined CrossFit 913 full-time. I soared when I reunited with Brady, TJ, and Anthony. 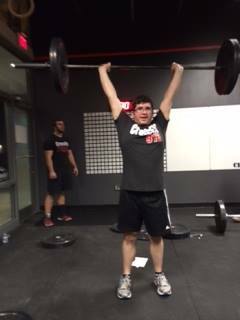 I reached several milestones that I never felt that were possible such as completing numerous PRs (personal records) such as a 165-lb split jerk, 175-lb clean and jerk, an 185-lb push press, a 205-lb front squat, and a 300-lb deadlift. I have also developed meaningful friendships with multiple 913 members such as father and son Barry and Corey MacCallum, Becky Dowden and her brother, Austin Curnant, husband and wife Jeremy Lambert and Kelsey Krengel, siblings Amanda and Zach Wendland and the Ellis, Loyds, Reyes, and Seals families. Also, I cannot forget how my workout partners such as like Terry Shafer, Jessie Rood, Jake Granitz, Ben Rocha, Janelle Cavanaugh, Eric Carter, Kyla Cody, Will Fuehr, Lauren Stollman, Lee Scherman, Shea Gillpatrick, Kellyn Basinger, Sean Herwaldt, Paul Salyer, Dan Forsha, and Siciley Krewson encouraged me to finish my workouts, even if I was dead last almost all the time. Besides my CrossFit family, I was able to gain confidence and approach some of the nicest people I ever met: bodybuilders, powerlifters, and personal trainers. My first interview with a fitness personality was Utah personal trainer Drew Manning, who went on a life changing journey, where he gained weight to emphasize with his clients. Drew’s movement, fit2fat2fit, has become a fitness enterprise complete with a New York Times Best Selling book, a podcast and an A&E docuseries called Fit to Fat to Fit. In addition to Drew, I also interviewed remarkable fitness personalities such as Scott Herman, Nick Wright, The Buff Dudes, Shreddy Brek’s Adam Foster, Marc Fitt, and former So You Think You Can Dance alums Ryan and Ashleigh Di Lello. But of all the bodybuilders I have met on my fitness journey, there is a particular set of people that I cannot forget to mention: Micah and Diana Chaloux LaCerte. 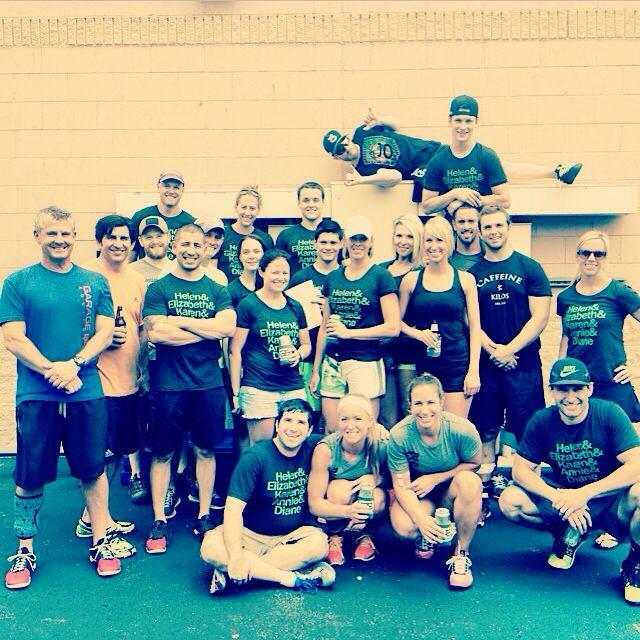 The HitchFit founders and their trainers are on a mission to get Kansas City (and to an extent the world) in shape. Their pure determination and fantastic attitudes have inspired thousands of people to get in the best shape of their lives and burn thousands of pounds of fat. The LaCertes are one of the driving forces of the international bodybuilding organization known as the World Beauty Fitness and Fashion, Inc. also known as the WBFF. Through them, I was able to cover several of Kansas City’s most intriguing and incredible fitness competitions. Seeing these athletes strut their stuff and showcase their remarkable transformations was inspiring. While I may not take the stage, I have met and interviewed some superb WBFF Pros such as Christian Lovell, James Hanton, AJ Ellison, Justin Gonzales, Jeremy Martin, Jamie “GrenadeJay” Alderton, and Jaco de Bruyn, who have inspired me to continue on my journey. 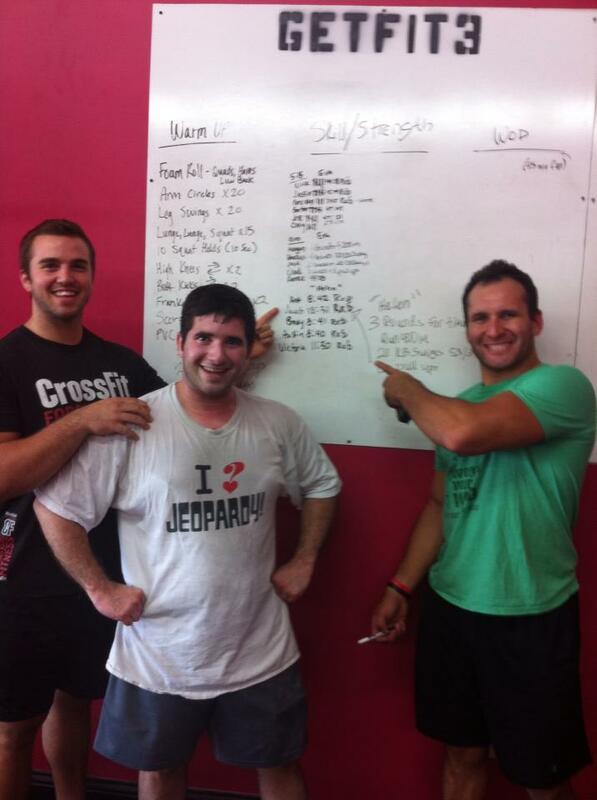 Currently, you can find me working out at CrossFit 913 anywhere between four and five times a week. I also start out each session walking at least two to three miles and catching up on Pokemon Go. I hope that I continue to improve my fitness over the next few years and be able to continue to develop a healthy and fit lifestyle. Thank you to everyone who helped me on my fitness journey. I am very grateful to have met you and here’s to embracing a healthier and happier lifestyle.